Accept, manage and stimulate online sales with MultiSafepay. Increase conversion rates with MultiSafepay unique solutions, create the perfect checkout experience and the best payment method mix. Offer pay after solutions to both your end customers and your business clients with MultiSafepay. We take care of all the payment process, or give you all the tools to manage and style it your way. Whatever you need, we have the solution. With the in-house developed MultiSafepay integration solutions, you will be able to focus on generating revenues. All integration solutions, dedicated developers and a specialized tech support team. Free in-house developed plugin for all major ecommerce platforms. Free, simple integration solutions for SaaS platforms. Flexible and customized integration with our API. Powerful SDK to natively enable payments in your app. Seamless checkout experience for customers with server to server integration. Our solutions for Java, .Net and PHP. 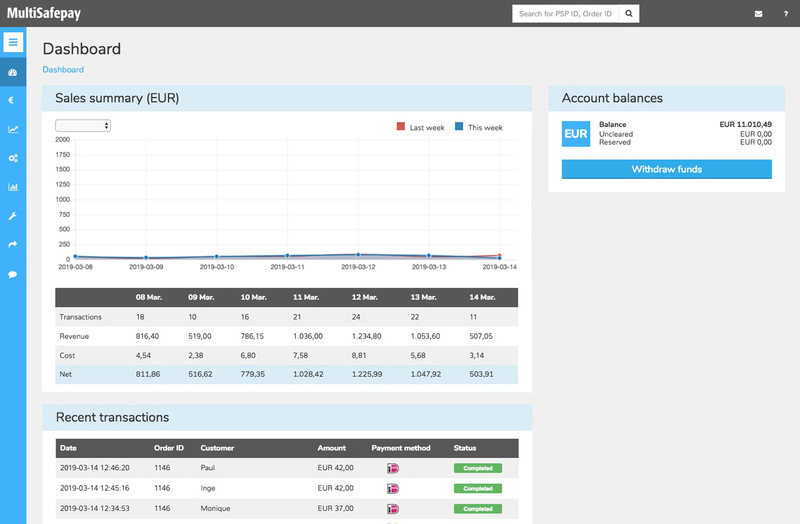 Sell easily cross-border with multilingual payment pages and local payment methods. Manage subscriptions and memberships for your loyal customers. Accept all currencies, increase sales and decrease costs. The solution to marketplaces, split transactions for easier management. MultiSafepay offers the most comprehensive payment solutions. Whether you sell your products locally or worldwide, we help online shops to compile a personalized payment package specifically tailored to their business, their target audience, and their ambitions.